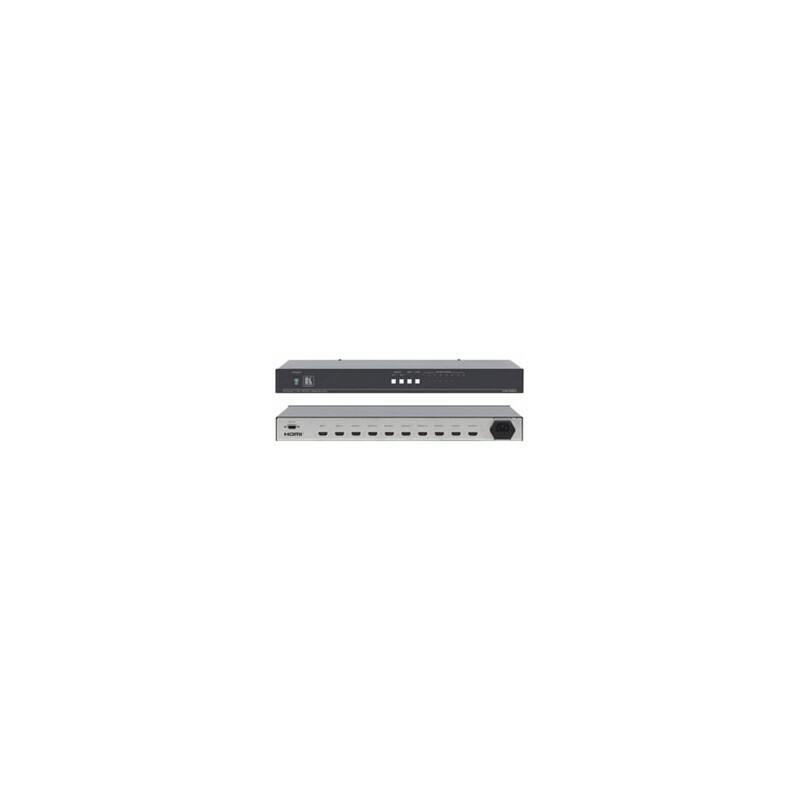 The VM-28H is a distribution amplifier for HDMI signals. It reclocks and equalizes one of 2 selectable input signals and distributes it to 8 identical outputs. 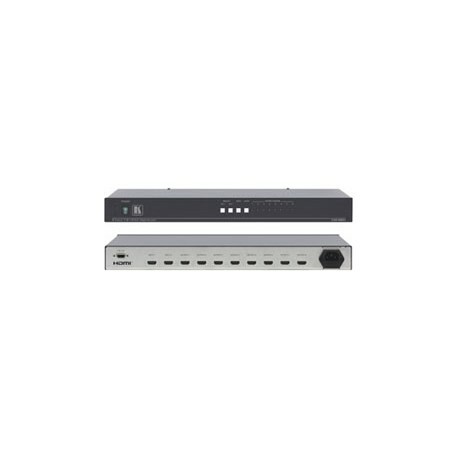 Control — RS–232 & IR. Home theater, presentation and multimedia applications. 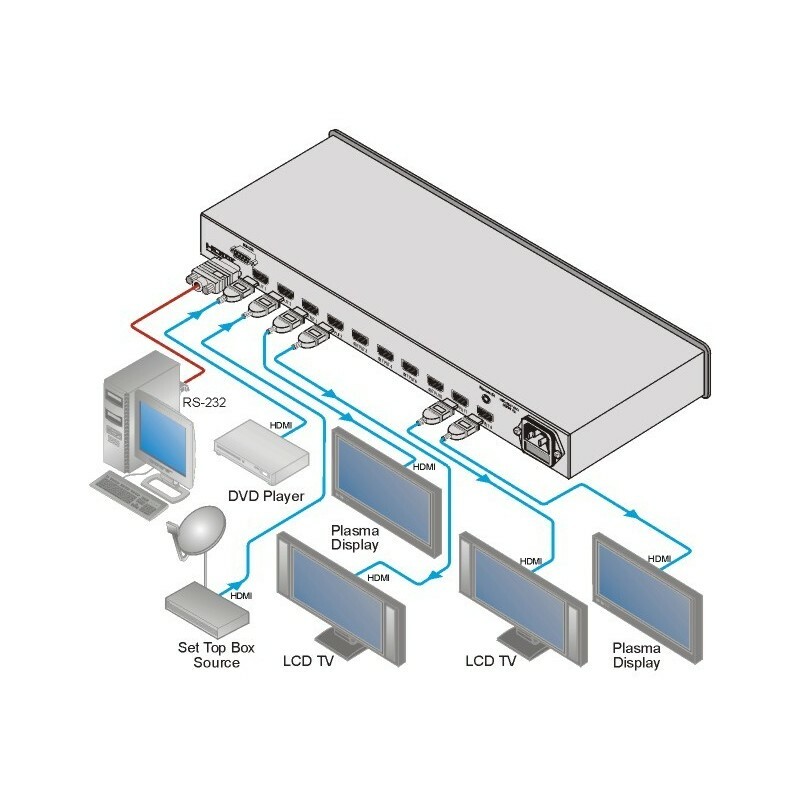 User manual for the Kramer Electronics VM-28H 2x1:8 HDMI Distribution Amplifier. Technical datasheet for the Kramer Electronics VM-28H 2x1:8 HDMI Distribution Amplifier. Protocol 2000 for the Kramer Electronics VM-28H 2x1:8 HDMI Distribution Amplifier.